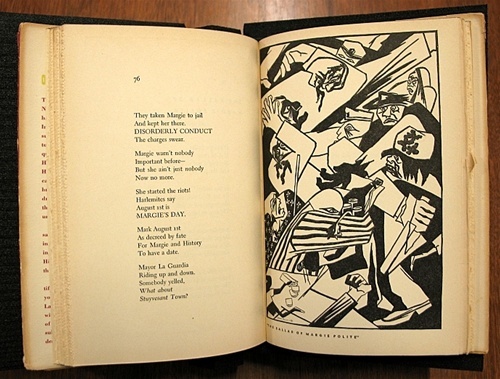 By Langston Hughes; illustrated by Jacob Lawrence. New York: A.A. Knopf, 1949. Langston Hughes (1902-1967) is arguably the most famous poet of the Harlem Renaissance and Jacob Lawrence (1917-2000) is among the most famous artists from this movement. 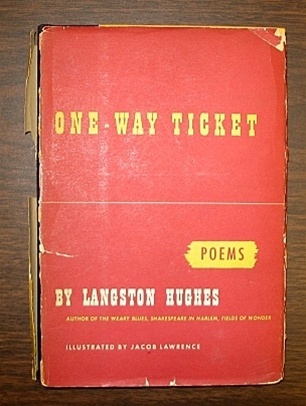 This book is a collaboration of two great African American masters with Lawrence illustrating themes of the poems. 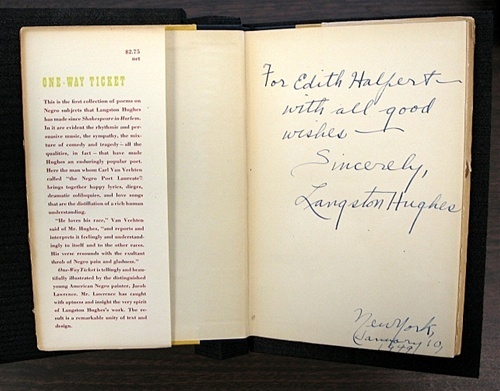 The book is signed by both Hughes and Lawrence to Edith Halpert a New York City art dealer who showcased many important modern American artists including Lawrence.